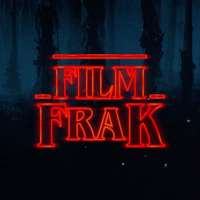 The humidity was high on a scorching Boston day as your voyeuristic frakkers sat down to record Episode 25 of the Film Frak Podcast, appropriate considering the scorcher of a film that we talk about first. The month of May was one of the busiest yet with life getting in the way of other plans but there is ALWAYS time for movie watching. How could we not make time when the attractions included a new Star Wars film. A Deadpool sequel some quality exploitation and genre deconstruction, head fuckery, real world fantasy and WWII survival.